“You can grasp the whole Leonardo by looking at the drawings,” says Martin Clayton, the head of prints and drawings at the Royal Collection Trust. Once bound in a single album acquired by Charles II, Queen Elizabeth II’s collection of more than 550 Leonardo da Vinci drawings reflects the manifold interests of a brilliant mind, ranging from anatomy to botany, cartography to equestrian sculpture. Together they contain “80% of what we know” of the Renaissance master’s work, Clayton believes. To mark the 500th anniversary of Leonardo’s death, 144 drawings are leaving Windsor Castle for a series of simultaneous exhibitions—12 works apiece for 12 UK venues, from Bristol to Belfast, Southampton to Sunderland—before major shows at the Queen’s Gallery in London in May (200 drawings) and at Holyroodhouse in Edinburgh in November (80 drawings). The hope is to “reach the biggest possible audience with these drawings”, Clayton says. He estimates that 34 million people, around half the UK population, live within an hour’s journey of one of the exhibitions. Each of the dozen smaller displays aims to offer a “balanced” microcosm of Leonardo’s varied pursuits and materials, with “no favouritism” in the distribution of works between the venues, Clayton insists. Photocopies of the 144 drawings he selected were divided evenly between 12 blank envelopes for representatives from each museum to choose at random. 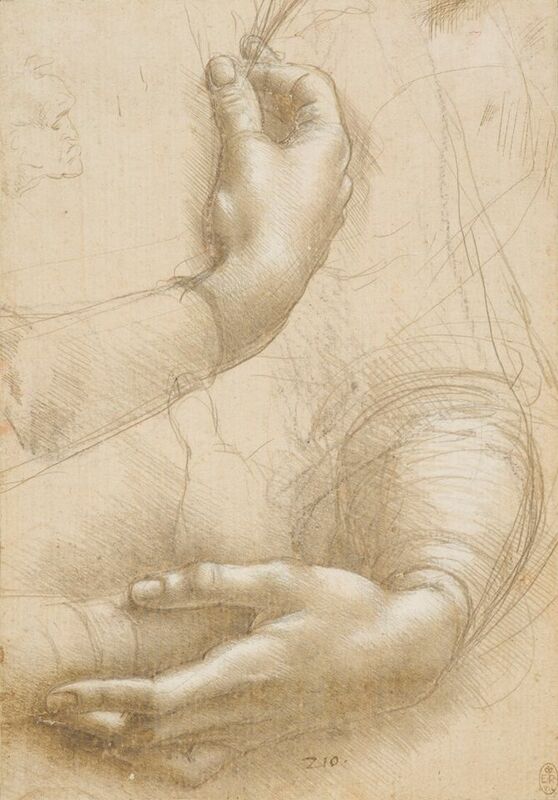 Some later tweaked their selections to better complement their museum collections; Leeds Art Gallery, for example, chose to focus on Leonardo’s sculpture drawings. The London show will trace the full sweep of his career in what will be the biggest UK exhibition of Leonardo drawings since the Royal Academy of Arts’s in 1952, which marked the 500th anniversary of the artist’s birth. Leonardo drew with “great ingenuity” and using “every material available to a practising artist” in the late 1400s, Clayton says, including pen and ink, charcoal, metalpoint and red and black chalks. 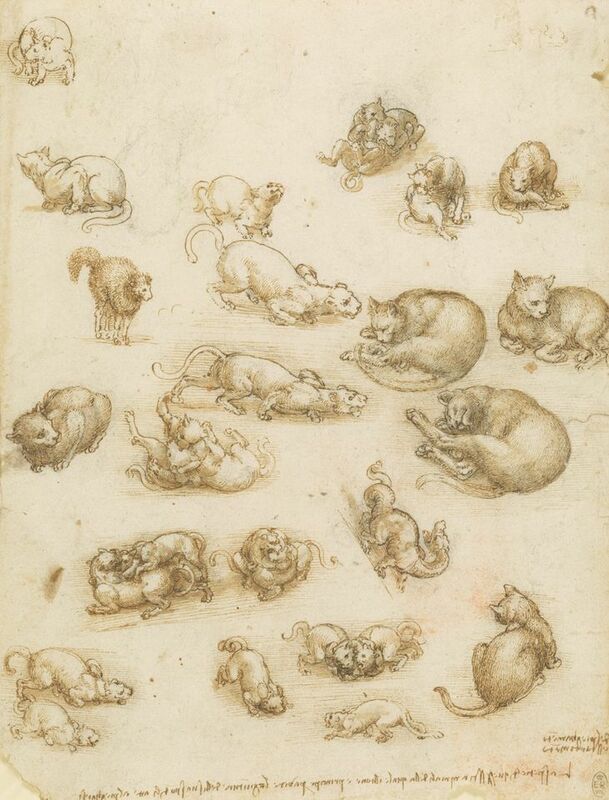 Although he left fewer than 20 completed paintings, Leonardo produced “more drawings than any artist of the period” and “more words in manuscripts than anyone from the period in any field”, according to Clayton. Half a millennium later, Clayton suggests that the exhibitions will help to bust the myth of a “crazy inventor”, revealing how “thorough” and “tremendously accessible” Leonardo’s scientific ideas were and still are. The drawings are “an instant hit” he adds, “and I don’t mean in popularity—people can understand straight away what they’re seeing”.